New rules for indication of the origin of meat are valid for producer in the whole of the European Union from 1st April 2015. The producers are obliged to indicate the country of origin in pork, poultry, sheep and goat meat. This has applied to beef meat, fruit, vegetables and olive oil so far. 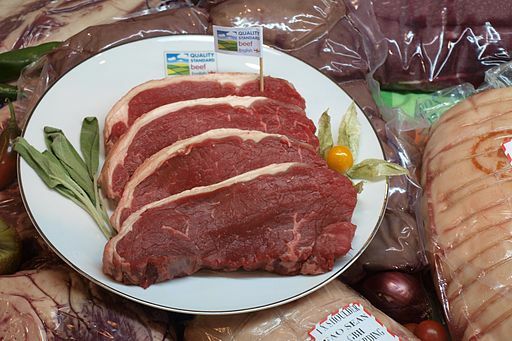 Customers will be informed whether meat they buy is from the Czech Republic, EU countries or countries outside EU. “”If an animal was bred in one country and slaughtered in another country, producer must indicate both information on the label or on a sign at the counter. If an animal was bred and slaughtered in one state, it is sufficient for the producer to publish the information of the origin of the animal,” Marian Jurečka, the minister of agriculture, said. The Czech Agriculture and Food Inspection Authority and State Veterinary Administration will inspect correctness of the data in fresh and frozen meat. Producers can pay penalties of up to ten million of Czech Koruna for breaching the obligation to indicate origin of meat.